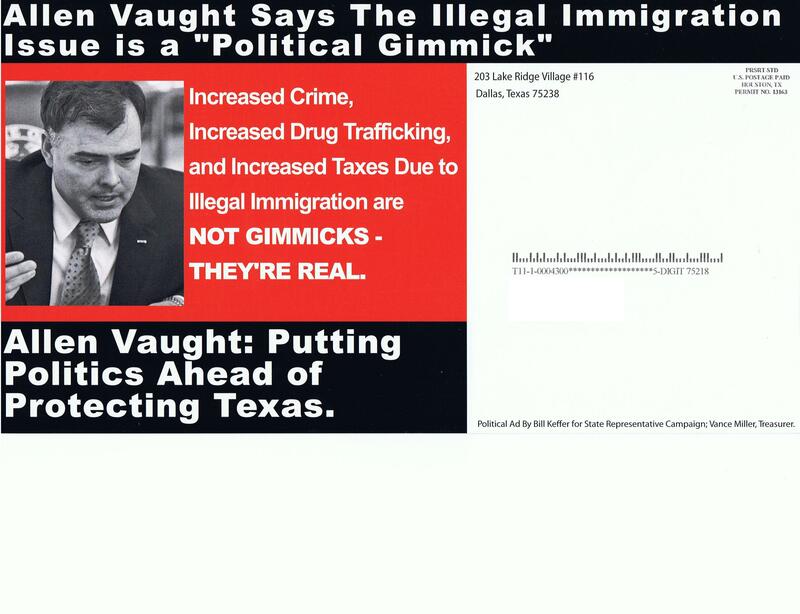 Texas | Stop Dog Whistle Racism! Swift Boat funder Robert Perry, a top national Republican donor, is funding overtly racist attack mail this cycle. It’s not Swift Boating. It’s Race Boating. This is happening in the Houston area, down the road from Tom DeLay. George Bush’s hometown. While an African-American, Barack Obama, is the Democratic nominee for president. Today’s Race Boaters aren’t like the Swift Boaters. They ARE the Swift Boaters. Bob Perry. Tom DeLay. Tom Craddick. The same people whose 2002 campaign funding scheme led toTuesday’s guilty plea from the Texas Association of Business, another organization with close ties to the Race Boaters. That plea came from the same investigation that led to the indictment against DeLay. 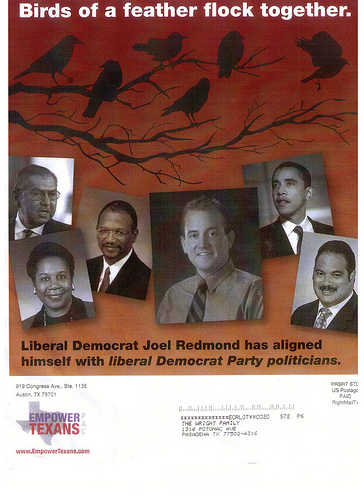 Anyone with any racial sensitivity gets the meaning of the mailer: Redmond has betrayed whites by befriending people of color. He can’t be trusted.